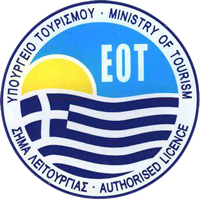 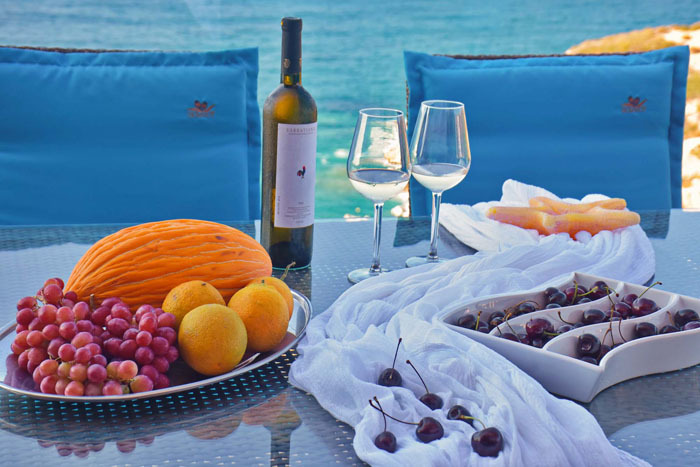 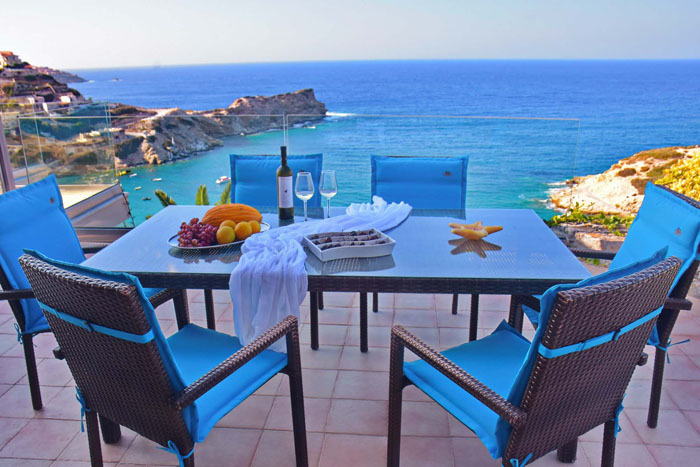 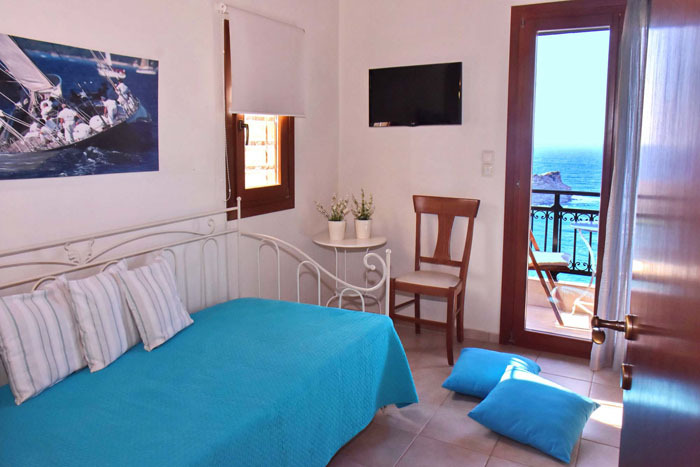 Villa Lygaria is a brand new villa located in the area of Agia Pelagia, near Heraklion. 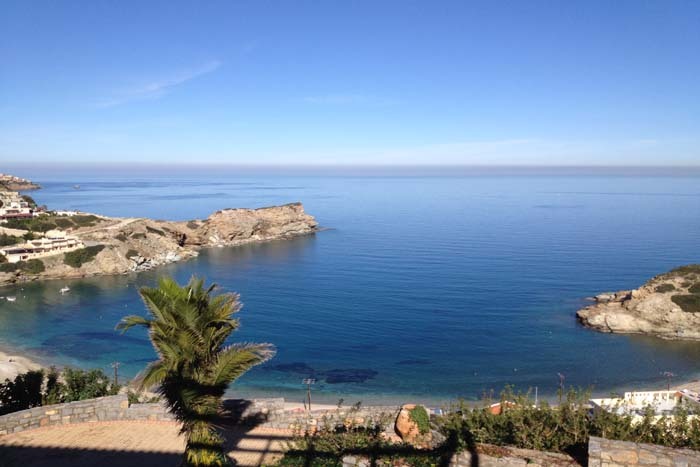 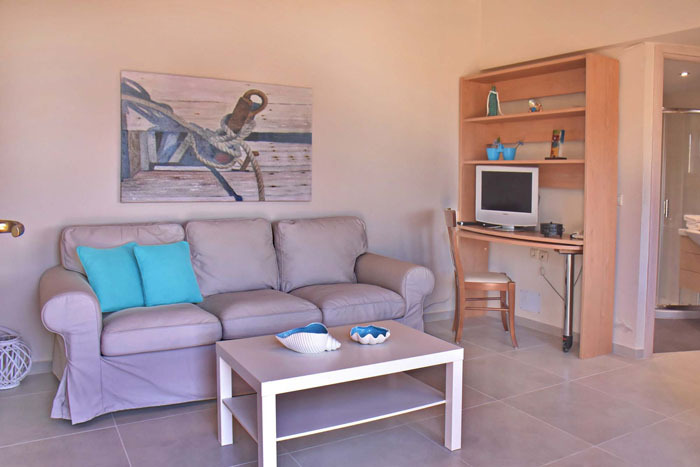 It is built only 100m from the beach and has direct access to it via a small stone path. 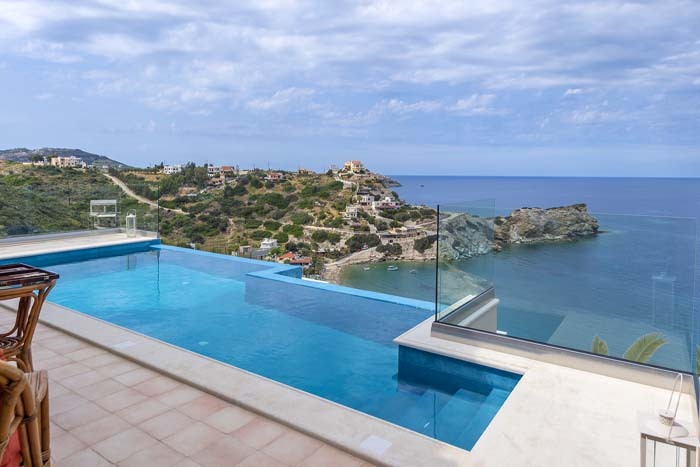 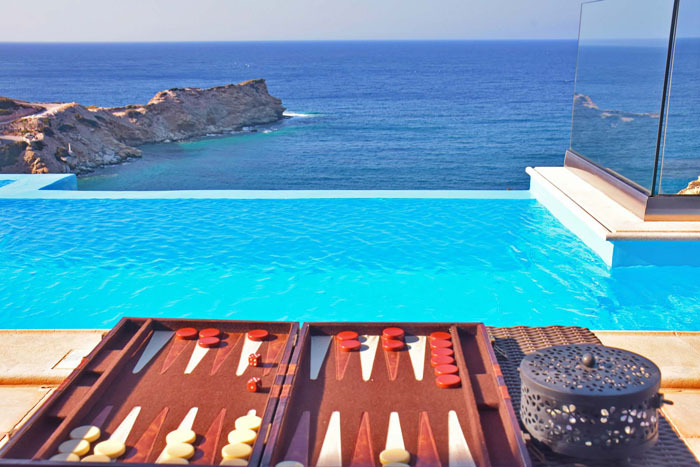 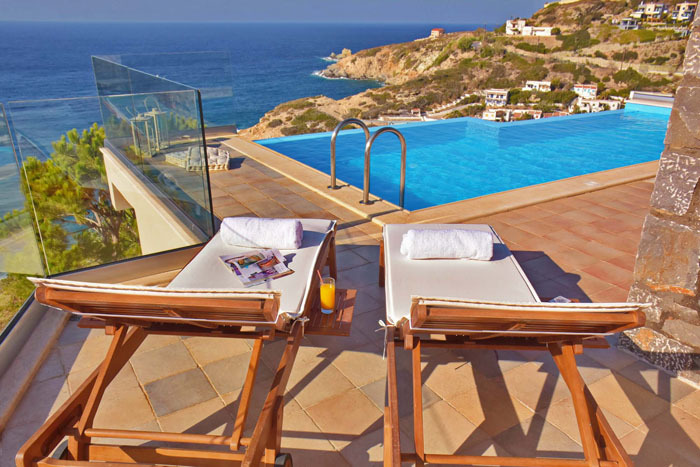 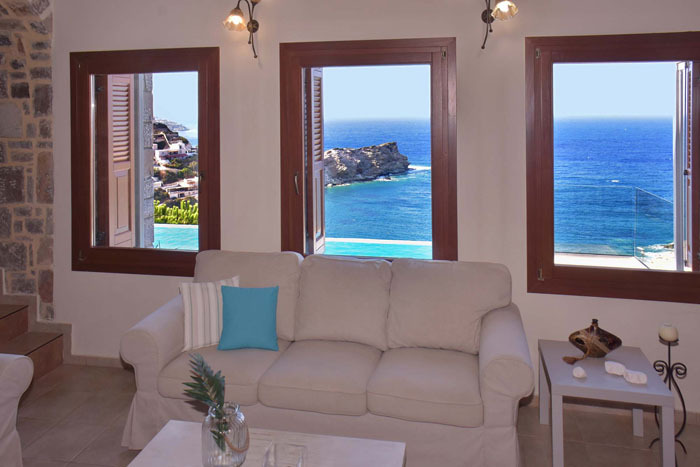 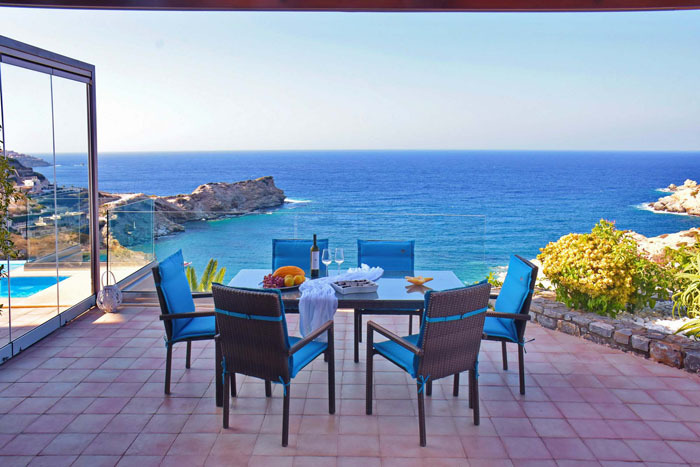 The villa can accommodate up to 5 guests in two bedrooms and offers a private infinity pool, furnished terraces with stunning views and stylish interior areas. 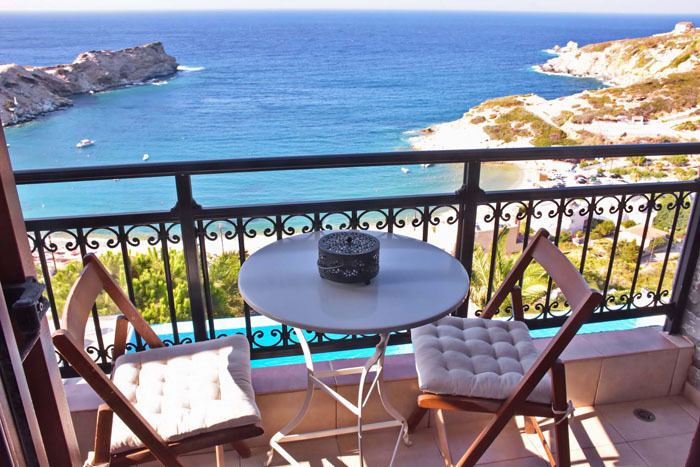 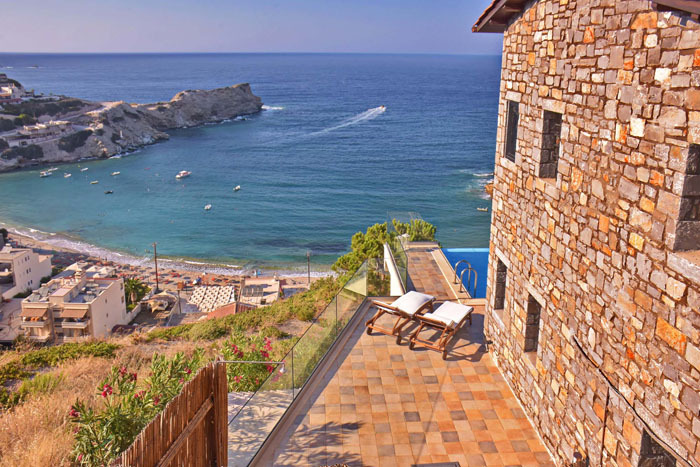 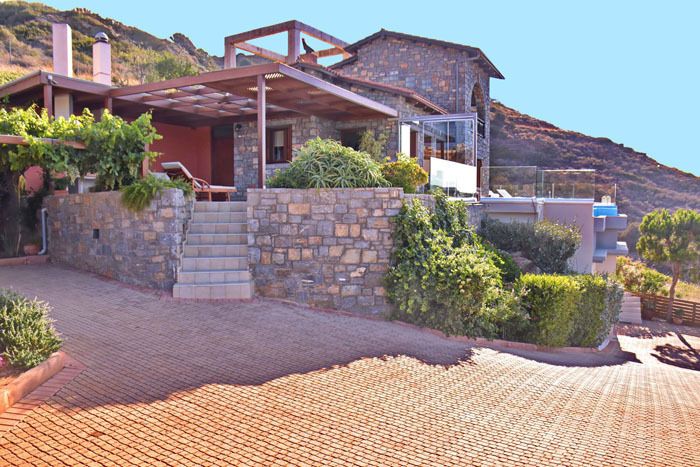 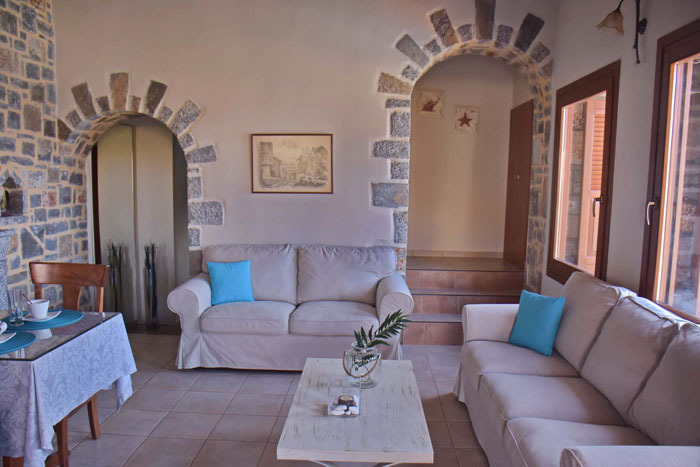 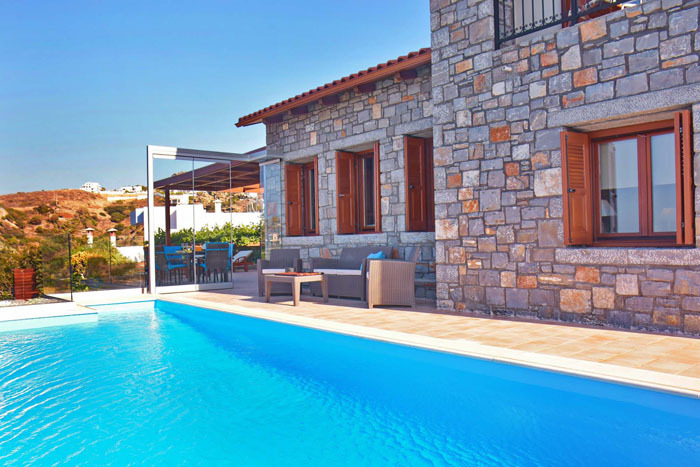 Villa Lygaria is 80sqm and is built on two levels. 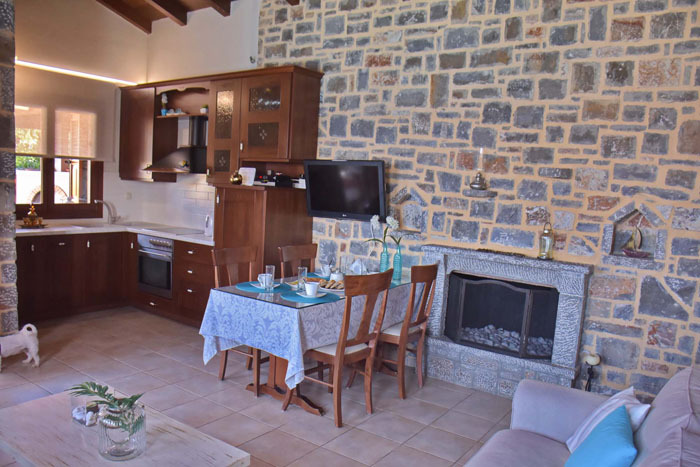 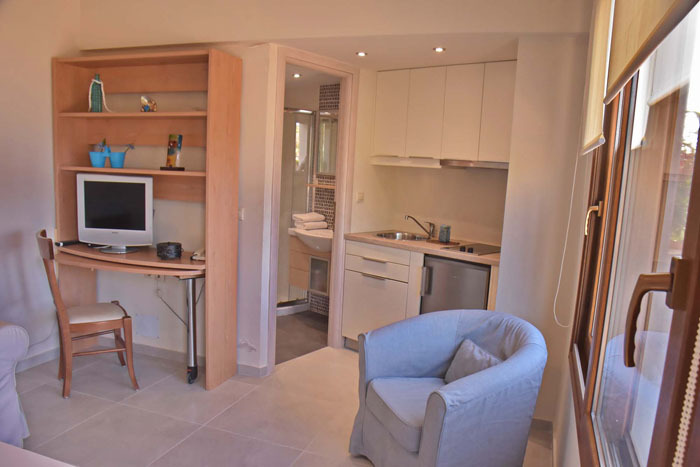 The ground floor consists of the living room with two comfortable sofas (one of them converts into a single bed), a fireplace, dining area, fully fitted kitchen, a bathroom with a shower and a double bedroom. 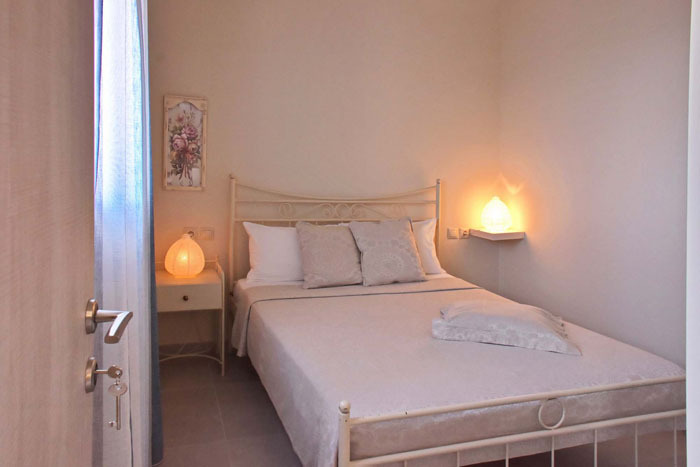 On the upper floor there is a bedroom with a single bed and a mezzanine with a another single bed. 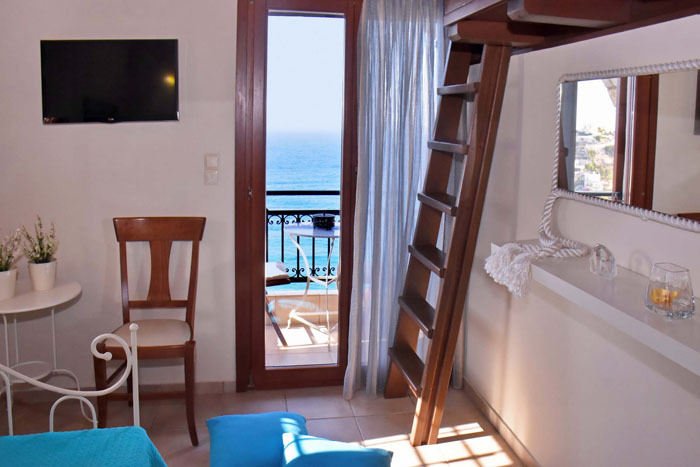 On this floor there is also a WC and a balcony with stunning view to the endless blue. 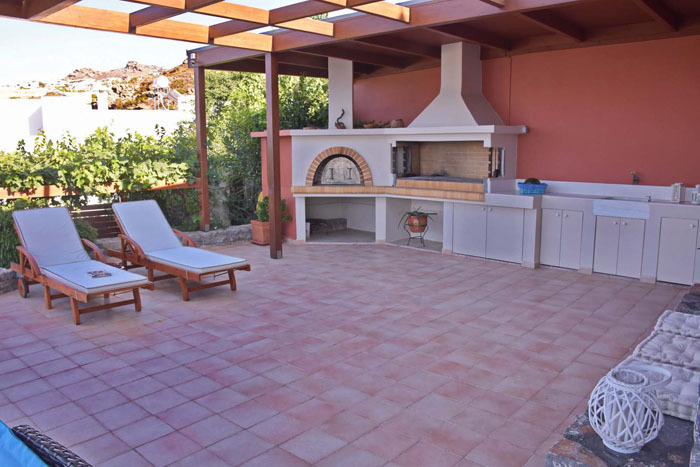 Villa Lygaria has a private swimming pool (4m x 8m) with sun beds and umbrellas, an outdoor dining table, BBQ and oven and an outdoor sitting area. 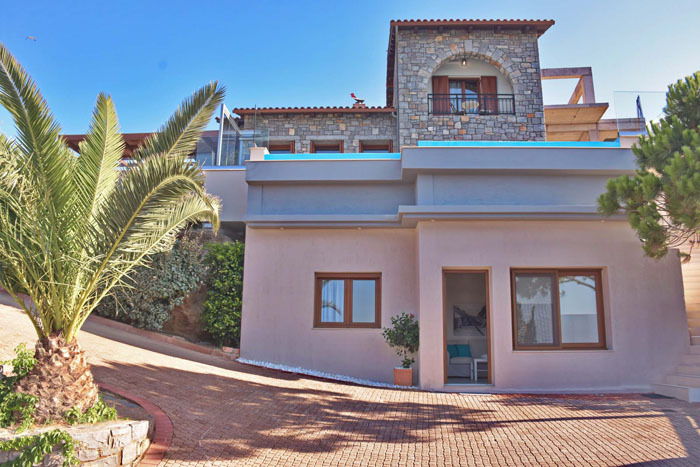 The house is surrounded by a garden with flowers and offers amazing views to the sea which is only 100 meters away. 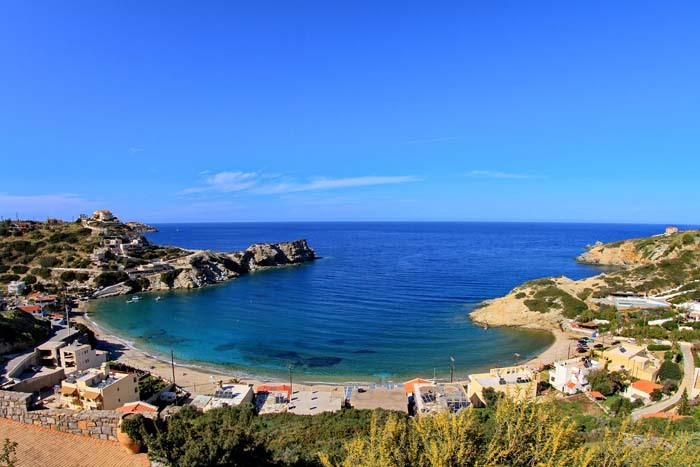 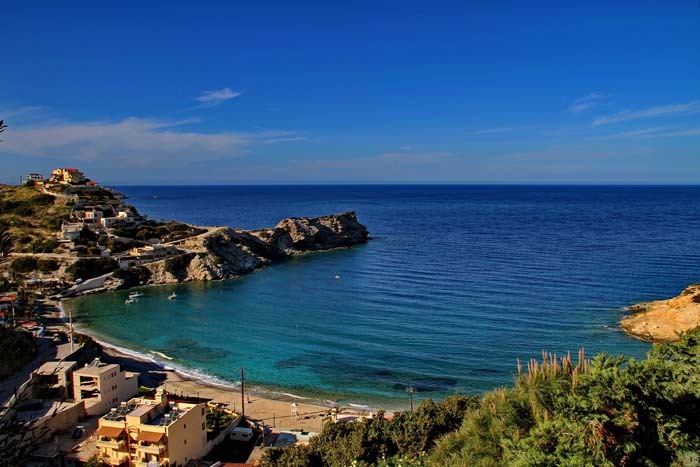 A small path leads to a sandy and organized beach with traditional tavernas while the lively resort of Agia Pelagia with its famous nightlife is 5km away. 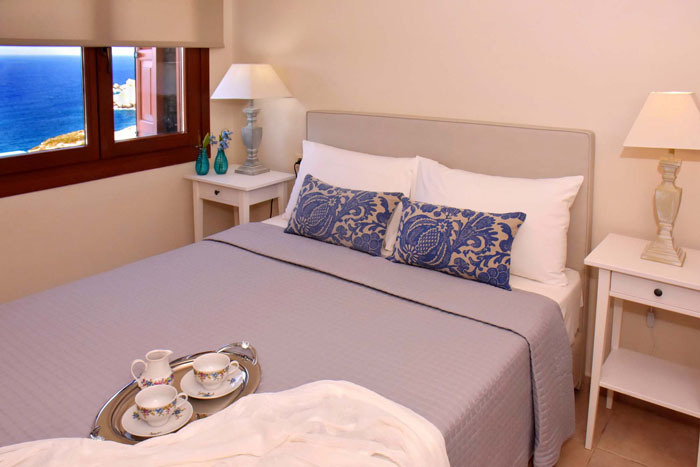 The above rates include maid and cleaning service 2 times a week, air-conditioning, wireless internet, vat and city taxes.